The unique flora and fauna of the Elk Valley is right outside your door waiting to be discovered. From the cool, clear waters of the remote Elk Lakes north of Elkford, along the meandering Elk River and up to the highest peaks of the encircling Rocky Mountains, every part of this valley is connected through the spectacular diversity of species that make their home here. Inspired by the simple beauty she sees at every turn, Lee-Anne Walker has made it her life’s work to understand the biodiversity of our region. Fuelled by a passion to protect natural environments, she shares her comprehensive knowledge through ongoing work with the Elk River Alliance and Wildsight Elk Valley Branch through a series of winter snowshoe tours and summer interpretive workshops. Since 1981, Walker has worked as an interpretive naturalist and holds a Degree in Heritage Interpretation and Masters in Environment and Management. She has been a natural history instructor with the College of the Rockies’ Mountain Adventure Skills Training (MAST) program for the past 22 years and started Wildsight’s Education in the Wild program in 2001, sharing the wonder of the outdoors with over 70,000 youth to date. Pondering questions and searching collectively for answers she maintains an enthusiastic outlook, leaning away from rote lists of facts and data and instead looking deeper for identifying patterns and relationships in nature on her tours. “It’s as simple as getting outside and playing in the wild.” She says. “Just by being ‘out there’ every explorer finds the spark that ignites their passion, and this hopefully stirs people to want to protect what they see and experience.”In all her work she seeks to inspire others to leave their environment a better place and find a personal connection with the living world. 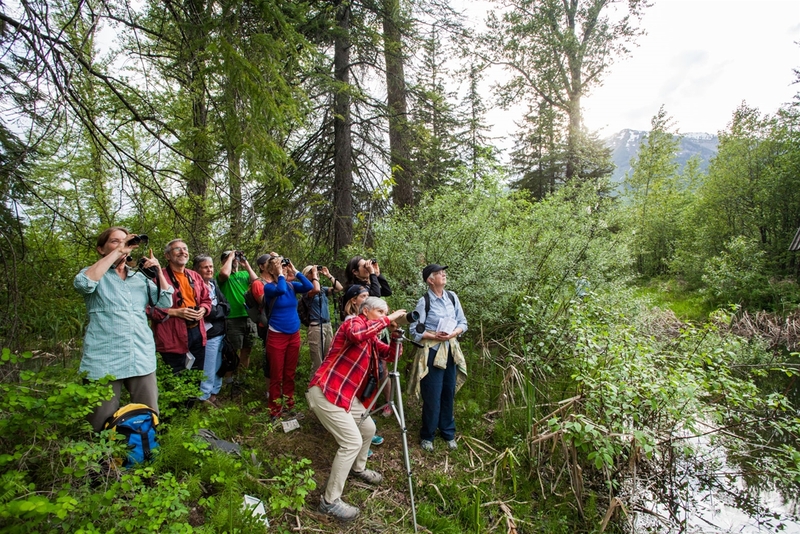 This summer, join Walker and other naturalist interpreters on a Wildsight Wild Nature Workshop and discover your special connection to our unique ecology. In Fungus Among Us on May 30, learn about the all-encompassing threads that connect different species to fungus, and how ecosystem health and our wellbeing depend on this intricate relationship. In the Watershed Tour on September 29, explore the streams and rivers that make up the Elk Valley watershed, and learn where our water comes from, how we use it and practical ways we can care for it. In all workshops, hear about the large mammals that migrate through our valley, amphibians and insects that make their homes here and the incredible birdlife that thrives in our short summer seasons. 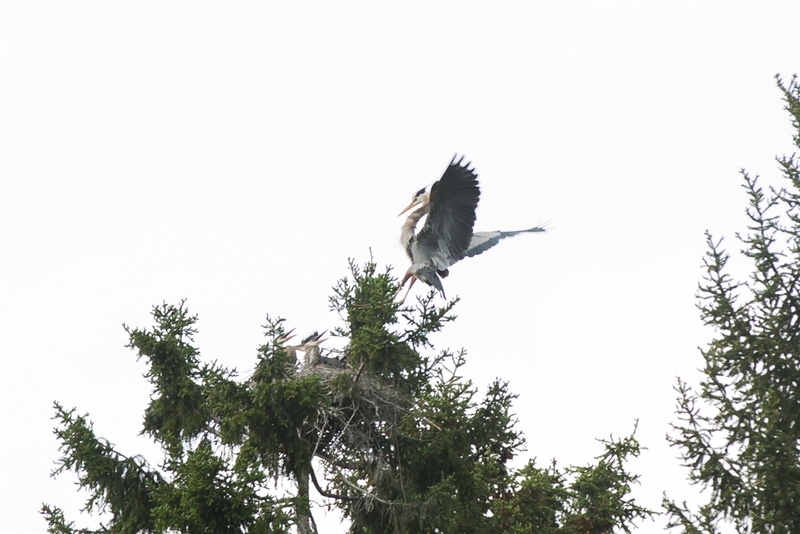 Watch for beavers at work and majestic blue herons probing along the river’s edge; indicators of thriving riparian ecology. Also this summer, pick up two local mini-guides to help you interpret local wildlife and nature on your own self-guided tours. 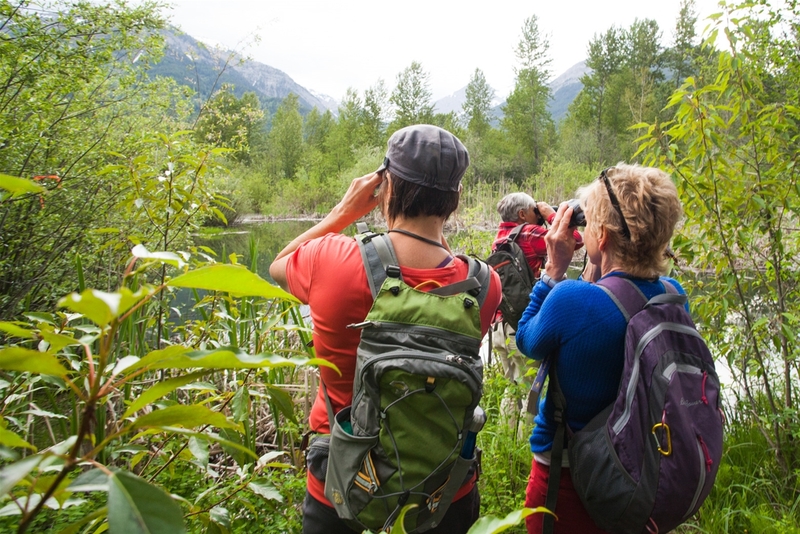 One will focus on local birding and wildlife and will provide wildlife viewing locations and species to look for. 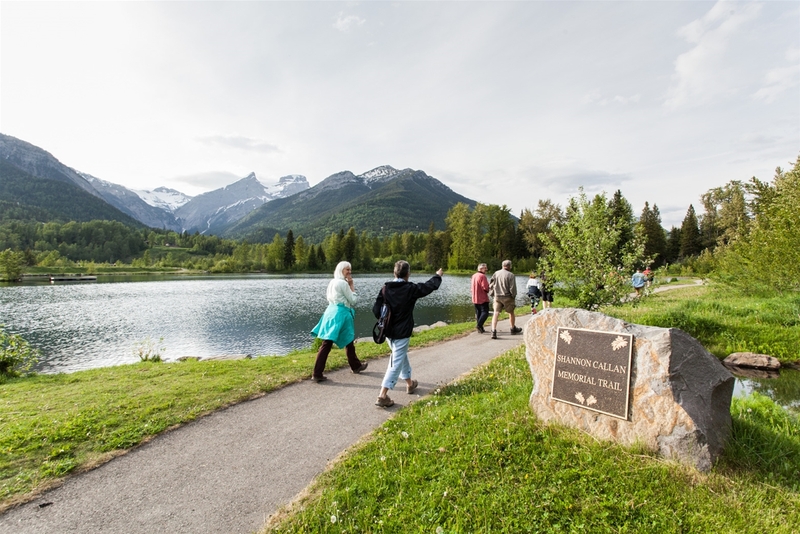 Another will feature the Elk River Alliance Geocaches – 14 stations spanning the 220km length of the Elk River from the Elk Lakes to Lake Koocanusa, each featuring an engaging challenge and information on the local watershed. 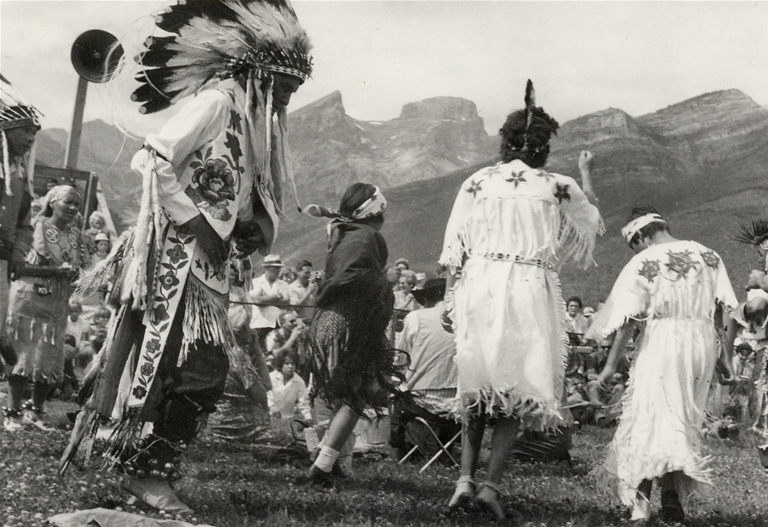 For more than 10,000 years, the Ktunaxa people have occupied a vast traditional territory that includes the Elk Valley.